Pleased to have ten of my paintings on exhibition in this show. 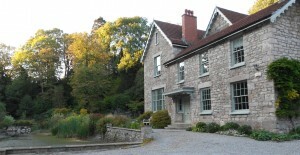 Denise Yapp Contemporary Art Gallery is set within the beautiful Mill House. This exhibition is displayed in the contemporary gallery extension as well as throughout the house itself. A warm and informal welcome awaits you at this most extraordinary gallery in it’s stunning setting at Whitebrook, Monmouthshire.